RumbleTime Promotions teamed up with Responder Rescue in a fundraiser for First Responders. The event consisted of several K1 and MMA bouts under the lights at the Dwight Davis Tennis Center in Forrest Park. The main event featured Jason Powell of St Charles MMA vs. Dan Bush of CMMA. At 58 seconds of the second round via ankle bar. Bush controlled the first round after an early take down and then landing several blows along the cage. Powell, who is a power lifter, recovered late in the round as he timed his escape and scored a massive body slam near the end of the round. Early in the second round Jason gained control with a guillotine and was trying to secure a win via submission. Bush tried to take down Powell to escape, resulting in Powell securing the heel hook for the win. Our co-main event, was possibly fight of the night; Jamese Taylor defeated Dylan Dalton, in a K1 bout by a 29-28 unanimous decision. Both fighters stood their ground trading punches the entire fight. A slick mat from condensation limited the number of kicks thrown but this did not limit the action. In a fight that resulted in mixed emotions from the fans, Christian Santana defeated Tyler Hubbs in a split decision. Both fighters showed a solid standup game and Santana was successful in defending a couple of submission attempts. Mike Pulley made quick work of Dillon Schreiter via armbar at 1:59 of the first round. Tim Mantle defeated Zach Burcham via verbal submission due to injury at 2:38 of the first. 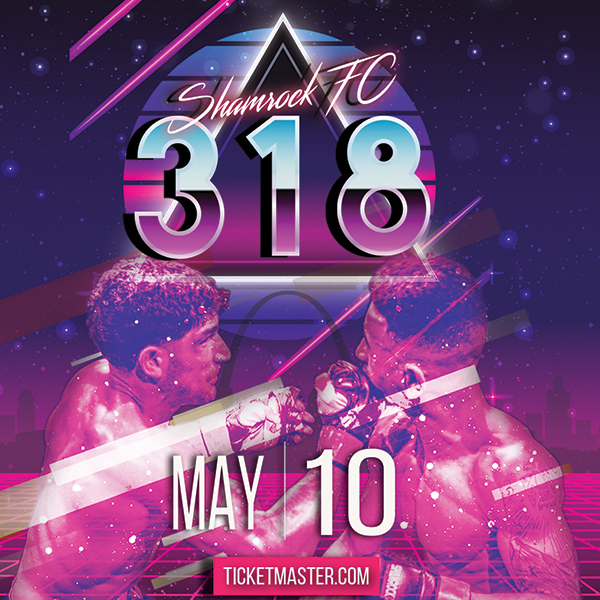 In a K1 bout, Steve Barbee defeated John McGloughlan via unanimous decision 30-27, 30-27, 29-28. 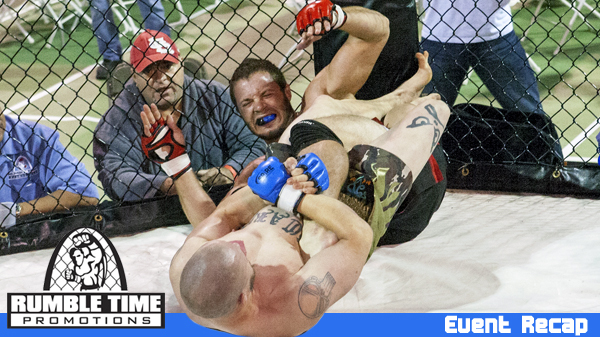 Matthew Evans earned the victory via Rear Naked Choke at 1:38 of the first round over Tony Wilyard. Matt Tinker had the knock out of the night with a 30 second TKO over Micah Senseil in a K1 bout. David Johnson kicked off the night with a 29-28 unanimous decision over Tony Yang. Additionally, there were two K1 exhibition matches featuring Ryan Shelton vs Brian Klenc and Josh Augustine vs Quentin Loper. Rumble Time returns October 11th to the Ameristar Casino.